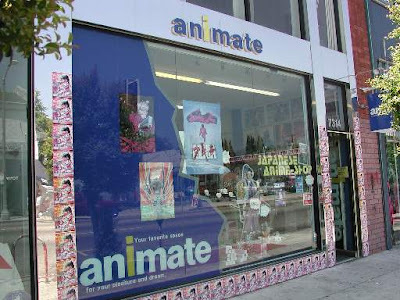 Who remembers the Los Angeles branch of Animate? I do. 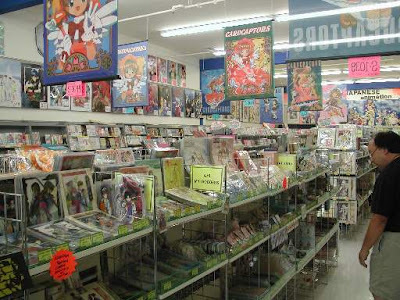 I remember back in my early high school days (2001-2003), seeing ads for the store in my Animerica magazines, and pleading with my parents to take me. When they finally did, I was like a kid in a candy store. I bought an anime remix cd there and had a nice long look around at the products and their large selection of anime cels. Animate USA closed in ‘03, for what I’m assuming was not enough business. See, back then, anime and other aspects of Japanese culture that are much more popular now, were still very niche back then. You still had your stores that specialized in anime, even in shopping malls, but they didn’t see a large amount of customers, so they would all eventually close. Now when you go into places like Kinokuniya or Anime Jungle, they are usually filled with people. Especially on weekends. Little Tokyo itself is a huge contrast to what it was back in ‘03. There weren’t very many people hanging around the area. Now it’s a very popular hangout spot, with new stores appearing every so often. Even the local festivals, such as the Cherry Blossom Festival and the upcoming Nisei Week, will have events for cosplayers. I’m rather astonished at how much the culture has grown since high school. This doesn’t come without it’s negative aspects, but it does bring a lot of business to these areas, keeping them open for everyone. Animate had the right idea back then, but it seems that it was just not the right time 10 years or so ago. 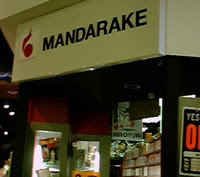 Another store from anime nerd's past was Mandarake, which I was unable to visit before it too closed in 2003 after a short-lived move from Torrance to Santa Monica. Animate and Mandarake are both excellent stores straight out of Akihabara, one specializing in anime cels and other amazing exclusive Animate/MOVIC collectibles, and the other specializing in various anime products, with a wide selection of doujinshi. 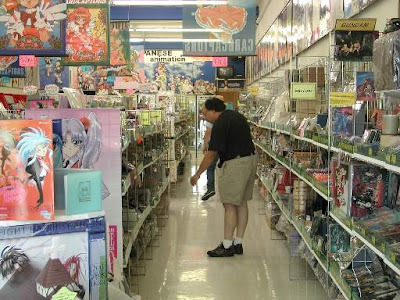 I hope we will one day see a return of stores like Animate USA and Mandarake, which I believe would be worthy contenders to stores like Kinokuniya and would have no problem making a nice profit now that the times have changed in it’s favor. Economy be damned, anime fans still put their money where they want and enjoy doing so. HI, I just found this blog. Those photos reminds me of good old days I worked at Mandarake USA. Thanks for posting this!